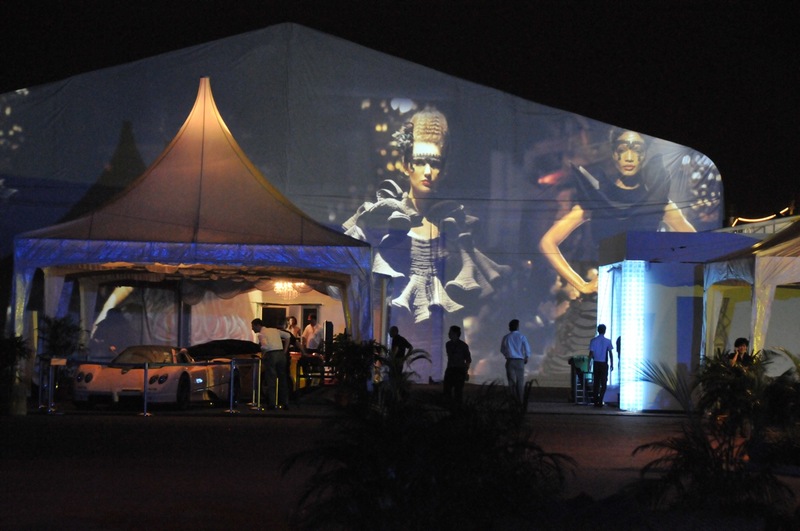 Behind each successful event is the ultimate vision to deliver value to a target audience from start to finish. This usually begins before the marketing campaign kicks off, and continues well after the exhilaration surrounding the occasion has subsided and the dust has settled. Event marketing may make for an arduous journey, which nevertheless, can bear fruits when done right – be it in fostering brand awareness, generating leads, or establishing market positioning. Embracing the efficacy of social media, marketers are increasingly bringing their events closer to their audience by taking the dialogue online. In centring takeaways around engagement and empowerment, they’re letting members access, as well as share content with minimal effort. Shareable assets from blog posts and clips, to media updates and infographics, enable online users to tell others about you – usually in the quickest way possible. Set up a website? Check. Send out the requisite promotional flyer or email? Check. Time to sit back? Not just yet. As American entrepreneur and marketer Seth Godin points out – long gone are the days when the mantra for marketers was “Build it and they will come.” Instead, sustained nurturing of community on social media is essential to create truly buzz-worthy events. Sure, there’s nothing wrong with good old direct mail. But publicity is best done on platforms which your audience frequents and actively circulates content, especially the ones that you put out. Engaging prospective attendees with visually stimulating and interactive material is likely to keep the hype around your event lasting for much longer, seeing as how each retweet, like or download is an invitation to discover, discuss and disseminate news about your event. Sneak peeks and teasers (articles, videos, audio, photos, etc.) posted on your social channels also build anticipation, helping to publicise event highlights, key speakers or unique offerings, while not being viewed as pesky or harassing reminders. Regularly update your promotional material and make sure your content is interesting, shareable and of value to individuals who have signed up, as well as to those who remain undecided (and might need a little convincing!). In short, potential participants value being given a heads-up on what they can expect. Nothing beats letting them feel like they’re making an informed decision before committing themselves to the event. Add a little intrigue to the mix, and you’re on your way to building and growing a community that readily tunes in, and feels like it has a stake in your event. Beyond drumming up hype, attention should go into providing quality experiences during the event as well. Among these, real-time social updates are important, not only in capturing the excitement of a live event, but also in sparking and keeping conversations going. By publishing thought-provoking questions online, the space for substantive exchanges is no longer limited to the event floor, program book or website – instead, your wider community of followers is now included in the discourse, bringing with them more perspectives and more of their own audiences. Make joining the conversation easy by using hashtags that are created specifically for the event and used across all social platforms. These go a long way to help your audience search for information that you are sharing, and at the same time, allow you to monitor mentions from attendees or affiliates. Having your ear close to the ground keeps you in the loop of what’s being said, and allows you to be more responsive to the suggestions, comments or enquiries being made. Meanwhile, featuring and tagging participants in your visual updates will boost emotional connection with those present, letting them know that you acknowledge and appreciate their attendance. A gallery of photos or a series of video clips can also serve as a recap of each day’s activities and highpoints, effectively encapsulating the core message and spirit of the event – all of which can be shared repeatedly with various groups of friends and followers online. Even as the curtain closes on your event, your work isn’t done yet! Capitalise on the high of your attendees and have them continue the dialogue by drawing them to platforms where they can further share about their experiences. A good example would be a blog post that nicely summarises the event, provides worthwhile (and downloadable) content, and encourages participants to leave their inputs or feedback. Captured statements about particular programs, presenters or your event in general – accompanied by compelling visuals – can also be shared on your social channels. These testimonials (duly attributed, of course!) help lend credibility to your event, and provide positive word-of-mouth for your brand. Quite simply, by empowering and giving a voice to your community at each stage of event planning and management, immense opportunities for engagement and exposure are to be had. Event success lies in your hands, as much as it does in the conversations of your followers! So You’ve Got the Product Everyone Needs? You’ve spent months or even years developing this product – you’re obviously going to be euphoric. But how are you going to build excitement around its release? Anyone who has been working for months getting ready for a product launch knows the stress and the fear that can run rampant. Much of this is caused by the unknown, the fear that you’re missing something that could go wrong, and completely tank your product launch. A successful product launch can garner valuable publicity, bring in new customers and help you expand your business presence into new markets. Your startup or product launch is the first day you will show your “baby” to the world and let the public have a hand at your stuff. A good launch can do great things to your brand and build enough momentum to cut marketing and sales expenditure drastically. Remember the lines on the day before iPhone launch? You might not get that far for your product, but you could still generate a lot of buzz without spending too much. Product teams have the best product launches when they work according to clear goals, deliver goods on time, and understand what makes their product lovable. There is no doubt that the product launch phase is complex and critical. But there is little more rewarding than watching a product that you’ve worked on since inception come to life in users’ hands. But achieving this result involves enormous work from cross-functional teams. Product launches are most successful when you plan ahead for them from the start — well before your product goes to market. The trick is to get the ball rolling in the months leading up to and following the release of your new product. 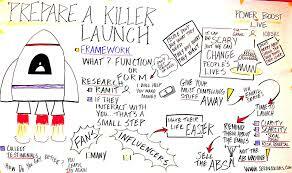 Every launch should ideally have a pre-launch, launch and post-launch checklist. Here’s how to avoid the common pitfalls in introducing your product to the public. Set your goals, objectives, strategies and tactics and identify tools to measure pre-launch objectives. Develop a content calendar that highlights deliverables, themes, topics, timing, and marketing channels you will use to promote the launch and share this with your creative and content team. Prepare marketing material such as ads, product information and instructions, infographics, videos, testimonials, announcements, teasers, and entries for various social media platforms. Create a pre-launch buzz: search for and engage with key influencers such as bloggers, journalists, leaders in the business/commercial world, volunteers, activists or expert in the field. Update your website, social media and offline portals regularly to ensure the latest news reaches your target audience. Inform your launch team of key events and activities and clearly assign roles and responsibilities. Create, maintain and share a logistics checklist and double check a few days before the launch to ensure everything is in place. Create excitement through offering demos, samples, special offers, contests, or coupons. Create your own hashtag too, to create social engagement. Send out announcements via different channels. Employ extra staff and ensure they are fully informed about the new product; extra hands could be a bonus. Appoint several employees as media persons to answer any queries and listen and respond immediately to minimize negative feedback or consumer unhappiness. Employees should mingle with everyone to ensure that no outliers are left alone through engaging in meaningful conversation. Use metrics to monitor launch performance and compare with initial objectives. Gather feedback and testimonials from customers and channel partners; analyse and develop case studies if possible. Track sales and monitor inventory. Keep the momentum going with added promotions, enhancements or more advertising. Update your audience by telling them how the launch went and create social proof. Review what you learnt from the launch and how you can improve in time for the next one. Product launches are stressful – that’s just the nature of it. But by preparing yourself with the key areas to pay attention to, you can give your customers that magical moment when they find the thing that they didn’t know they were waiting for. And that’s when it gets exciting. Conference Planning – Are You Ready to Roll? Planners will cringe at the sight of this logistical nightmare. However the corporate and event planning industry is growing worldwide, and for PR practitioners it is almost impossible to steer clear. The job scope includes solidifying realistic objectives and budgets; choosing a venue; reviewing contracts; pleasing sponsors and participants; lodging; transportation; telecommunications; logistics and audio-visual requirements; hard and soft copy resources; and even food and beverage preferences… you get the gist. Everything seems to fall into the hands of the organisers to execute with expectations from all parties set unwaveringly at perfection. Is there any way to pull through with all parties happy, and without pulling all your hair off its roots? In planning events, there is always a race against time. With company or industry-wide conferences, there is no leeway for subpar performance. Professionalism is what they are paying for. Have an estimate of how much time you need to get everything and everyone in place. On top of that, add at least another 15-30 minutes so that you do not have a room full of workers frantically running around when the first delegate arrives. At this particular conference, we made sure we had everything set up and ready before 7.15 am when registration started at 7.30 am. Also, always have a packing list, and keep it close to you! Average vendors serve multiple clients across different industries and purposes at any one time. It is inevitable that they have a lot to remember. Always get both written and verbal confirmation 48 hours before setup time. Email confirmations are still important as they help explicitly spell out your expectations, and also serve as evidence of your exchange. What happens in case of unfavourable weather? What happens if there is a competing event at your venue? What happens if there is a closure of venue? What happens if you have to cancel your event? These are not easy to plan for, but if left to the day of the event itself, it will be a disaster! Pre-empt as many adverse situations and plot out contingency plans at least two weeks in advance to allow for good measure. Then, even if you have to cancel the event, you will have a system of information dissemination to all of your guests. In the course of planning, emails, orders and spreadsheets would definitely have been exchanged in communication of details between all parties. Organisers should not make the mistake of thinking that it is sufficient to rely on documents to paint a picture of how the event will run. Walk through the program and your vision with your clients and staff onsite whenever you can. Play out each moment and its details as though it were happening right in front of you. This helps ensure that everyone is on the same page. As the director, you undoubtedly know the details best and will be the one running the show. Always make sure you have a checklist ready, outlining responsibilities with clear expectations for each member of the team. With that being said, have faith in your team and don’t be afraid to delegate. Avoid the trap of running the show alone and micro-managing, no matter how small the event may be. Things are bound to happen and they work best when you have a team you trust battling alongside. Also, don’t be afraid to spend a couple of hundred more to hire additional hands. Labour shortage can actually cause bigger issues than going over budget. Remember, your client’s success is your success. So get yourself as engaged and invested in your client’s project as you possibly can. This way, you understand where they are coming from and where they need to go in terms of achieving their conference objectives. Your job is to get them there – as smoothly as possible. When launching an event for a client, it’s not a one off activity. It should be a part of an over-arching strategy. Events provide companies with opportunities to extend their reach within target markets to build relationships. However, you would first need to identify your stakeholders, key messages and have a view to build long-term relationships. Otherwise, what’s the point? Have you ever been to an event and after a very short time wondered why you were invited in the first place? It was unimpressive and it’s unlikely you would ever attend another. This scenario is much like the corporate world when organizing a media launch. If you invite journalists to a media launch, you need to be able to answer two key questions the journalist may ask: Why should I attend? And why am I here? To have a successful launch, there must be an intriguing strategy that will leave an impression on the journalists and engage them on an interpersonal level. There must be a compelling reason for their attendance and something that couldn’t be achieved through other means, for example, emailing information. It’s all about how you craft your message; if your message is not relevant and the event launch does not impress, it is doubtful that media coverage will be generated. Timing – remember journalists have busy schedules and have lives outside of the office too. Don’t make an event launch too long (more than an hour) or after hours or during key deadlines. Allow enough time for a story to be put together after the event. After hours is exclusive to social events such as film launches. Just like you, the last thing a journalist wants to do after work is – more work. So, if it is after work, make it enticing. The medium – If your story is relevant for television news, host your event in the morning so it can be ready for that afternoon and slotted in for the evening and night time news. If you want radio involved, why don’t you hold your event while the radio segment is airing? Accommodate specific journalists depending on the target market. It is important to choose the right medium for your message. Keep in mind some journalists work for publications that circulate every fortnight, monthly or quarterly so if you target the wrong journalists, your opportunity for media coverage could be outdated by the time it prints. There’s always time for a photo opportunity. There needs to be several photo opportunities on offer especially if you are inviting multiple journalists. The last thing they want is to walk away with exactly the same photo as their competitor. If there are no photo opportunities then its simple – no media coverage. The launch of an event is only the beginning of a great campaign for an organization (you don’t launch a rocket into space and discontinue to monitor its progress – how will you know where it ends up?). Follow up on the progress of the campaign on your website or social media platform to keep your publics updated. Utilize the highest quality spokesperson from your organization to send the message to the publics and ensure a scheduled time for a one-on-one interview. Research shows that there are a staggering 1.9 billion active email users in the world, with 2.8 million emails being sent every second. With the advent of electronic communication, “What’s your email address?” is the most commonly asked question during social or business-centred interactions. Most of us even have multiple email accounts and can understand the frustration of being overwhelmed by the barrage of emails that assail our inboxes every day. From newsletters and social network notifications to scams and product advertisements, our trained eye peering over the rim of a steaming cup of morning coffee has learnt to discern the junk from legit emails. While this is all easy to do, it’s the sorting that becomes a challenge. We normally divide emails into two categories – the ones that are urgent or demands first response, and the ones marked as unimportant and filed away to be read later (or sometimes never!). As a frequent recipient and sender of emails, how do you ensure the emails you send out will steer clear of the latter category? Sending a poorly written email is as good as saying you haven’t thought through about what’s important. And you’re decreasing your odds of getting a response. In the words of Dennis Roth, “If it takes a lot of words to say what you have in mind, give it more thought.” As with face-to-face communication, having basic etiquette and manners in email exchanges show respect and regard for your recipient. A good email should be short, concise, and contain only the most essential information. A wordy email laden with unnecessary backstory would be considered a bad one. Subject headings have the function of grabbing attention and allowing the reader to decide if they want to read further. Of course, just as it would be ridiculous to publish a newspaper without headlines, never leave the subject line blank. By using a few well-chosen words, the recipient knows at a glance what the email is about. Including a subject heading will increase the chances of your email getting read, instead of being deleted as spam. Long diatribes should be seen as an eschewed evil in effective email communication. Some people think that providing a tonne of backstory and additional details will make the message clearer to the recipient. On the contrary – writing long winded emails tend to confuse and make responding to your word labyrinth a nightmare. Brevity is key. You also encourage the responder to be brief with your own brevity. By eliminating chatter, you’ll not only become a better writer, you’ll also be better able to convey your intended meaning with the right impact. Don’t ask too many questions. Even if you have a million burning questions, break them up into a few emails. You’ll have a better chance of getting a response if you ask 2-3 questions, as opposed to frustrating the recipient with a whole hunk of text peppered with question marks. 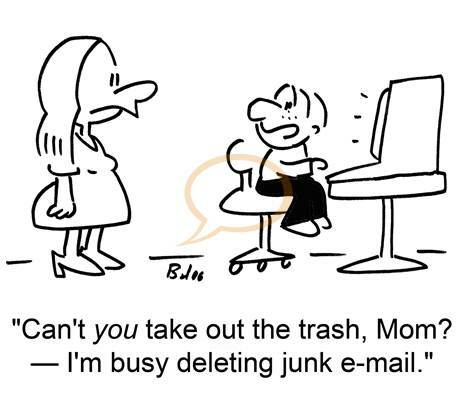 Think about the number of times you received an email that made you wonder about the message! Now on the opposite end of the spectrum, think about the times you’ve sent an email that returned to you with a bunch of questions because you didn’t take the time to write clearly. Edit. I know, we want to write it, send it and forget it. Well, that’s akin to telling the recipient that they don’t deserve a good email. We’re not advocating the need to spend hours making every email perfect, but if you can take a little time to go back over an email to remove unnecessary sentences and words (and typos! ), you’ll be doing your recipient (and yourself) a big favour! Out of the Frying Pan but Not into the Fire – Planning for the Unthinkable! “When written in Chinese, the word ‘crisis’ is composed of two characters – one represents danger, and the other represents opportunity.” – John F Kennedy, 35th U.S. President. Crisis communication . . . What does it really mean? 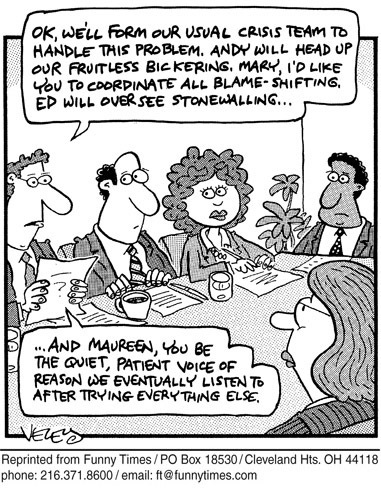 Many of us, especially in the communications industry, are familiar with this term – or at least we think we are. Simply recognizing a crisis, identifying a crisis management team and drafting a crisis management plan is not enough to ‘fix’ one when it happens. And to add fuel to the fire, having an inexperienced spokesperson who says all the wrong things at the wrong time can exacerbate the situation. Now, back to the quote from the late John F Kennedy, a crisis can put anyone or any organization in a difficult and uncomfortable place; but it can also open the door for growth and trust, in both personal and professional relationships. Here are some guidelines to remember when dealing with a crisis – so you can make the best of it – if and when it happens. The first thing you should do is to contact your CEO and the chief of your public relations department when a crisis arises – enabling them to implement any crisis management plans that have been set in place. In any crisis situation, it is always important to recognize and acknowledge it. Even if the crisis is a minor one and involves an employee who engaged in misconduct – this one small act can trigger into a growing crisis, threatening the integrity and reputation of the organization, as in the recent Papa John’s Debacle. Publicizing an earnest apology to the public via various media platforms and remaining calm during the entire duration of the crisis can help minimize the situation. This lets the public know that you are aware of what happened and are doing everything that you can to contain the situation. In a crisis, it is very important to keep this in mind: Tell it ALL, Tell it FAST, and Tell the TRUTH. Often, we conceal some information because we think they aren’t important and we only choose to disclose some on a need-to-know basis. However, in dealing with a crisis, it is imperative to provide full disclosure. Concealing any part of the information that is related to the crisis can trigger doubt, which can cause even the most well structured crisis management plans to backfire. Being the first to provide information also places you in a position of authority – instead of allowing the crisis to simmer and the media to catch on. Who needs a crisis? Crises are not pleasant and more often than not, can be very disruptive. Unfortunately for us, they happen – especially when we least expect them to. Being able to provide or at least offer constructive solutions post-crisis helps to appease the public. Do not though, equate this to bribery – these solutions don’t always have to have monetary value, such as giving away free products. They can be as simple as making suitable policy or operational changes. In order to effectively move on and learn from any crisis is to offer solutions to the problem, after identifying them of course! What can be done to ensure that this never happens again? How can we improve to better serve our clients? Finally, the public wants to be assured and reassured that something like this won’t slip through the cracks and happen again. Let them know that you’ve learnt from the crisis and while mistakes do happen and sometimes accidentally, you will try your best to prevent them from reoccurring regardless by taking the necessary precautionary measures. This is an excellent opportunity for you to strengthen your client relationships by proving that you’re responsible, competent, dependable, adaptable in any situation, and more importantly, capable of growth – even in a crisis. While riding out the storm during a crisis can be frustrating and sometimes intimidating, don’t let it get to you. Also, remember that not everyone will react the way you want them to, but at least, you’ve done your best and made the most out of it. And on a brighter note, at least now you’re prepared for the next crisis. By Fiza Johari, PR Associate @ Corporate Media Services. An event is one of the best ways to promote your project and engage with stakeholders. But great events don’t just happen – they require detailed planning and skillful organization. Events are a key part of many public relations (PR) campaigns. PR related events can take many forms – from product launches to fund-raising gala dinners, sporting tournaments and ground-breaking ceremonies, to press conferences and training workshops. The success of your event depends on a combination of factors, from making the event interesting to raising awareness of the event to extending your reach to engage with your target audience. As with all planning, the devil is in the detail. While for some, planning a PR event is “no sweat,” to others it may seem a daunting task. The good news is anyone can do it! And when done right such events can shape opinion, shift perception and create a lasting impression. So what does it take to pull off a successful event? Believe me – it’s not rocket science! All you have to consider are the 6 basic questions of why, who, what, where, when and how, and you’re well on your way to executing the mother of all events. Why? Why do you need to talk to your ‘public?’ What is the real objective for staging this PR event? Is your objective important enough to justify the costs involved? Who? Which audience are you trying to reach? You need to identify the right people who fit in with your aims. Each event is limited by space and cost – do not waste valuable resources. You need to focus on attracting the right target group to achieve your objectives. 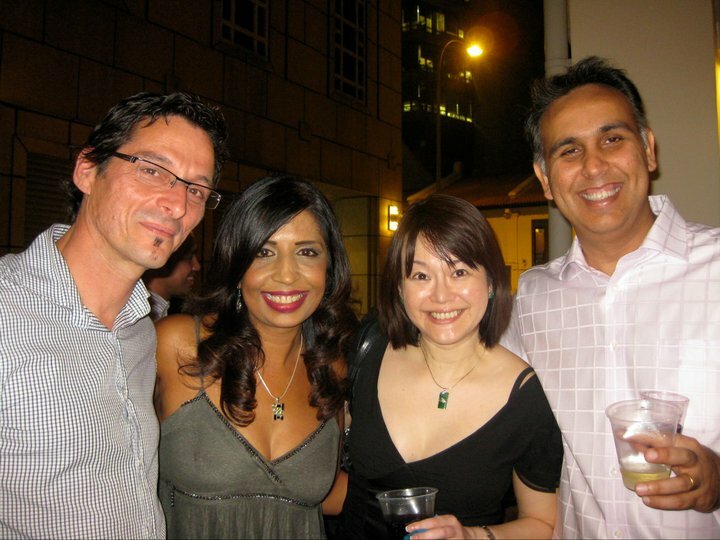 The 2010 CMS X’mas party for clients and friends! What? What kind of event works best? This is dependent on the profile of your audience or target group. What kind of theme or angle would best attract a specific audience? Where? Your profile audience and theme of the event should determine the venue although the exact location can vary. A lifestyle event like a charity ball, for example may need to be in a 5-star hotel, while a press conference can be held anywhere as long as it is easily accessible to the media. When? The best time to hold your event is an important consideration. What is the best time to draw in the audience – certainly not in the middle of the year (smack during the school holidays) or at the end of the year when everyone’s busy with year-end projects and budget planning. Make it a point to check on other events happening at the same time to avoid clashing with any industry exhibition or conference. How? This is really about getting down to the wire – planning the event. From designing the program to directing on-site traffic, venue sourcing, food and beverage, logistics, equipment rental, photography, marketing and publicity, and coordination with principal players associated with the event (speakers, sponsors, guests, etc.) prior to and on the day of the event – these are important details you cannot afford to ignore. You need to have an organizing team in place. No matter how good you think you are – you can’t do it all alone. DELEGATE! A pre- and post-event debrief with your team (including the venue’s hospitality team) is critical to the smooth running of the event. Prepare a checklist and go through each item. Good communication is key – make sure everyone understands what is happening and what is expected of each individual on the team. For example, greeting VIP’s, parking concerns, or dealing with special dietary concerns. Last but not least, when it comes to the logistics, no matter how prepared you are, every venue or event will throw up its own set of problems at the last minute. Don’t fret, over time and with experience, you will learn to anticipate the unexpected and deal effectively with problems as and when they crop up. Just remember to keep a cool head and you’ll do fine!